The insurance industry has changed a lot during the past several decades but the change will become exponential in the future, an industry head has said. 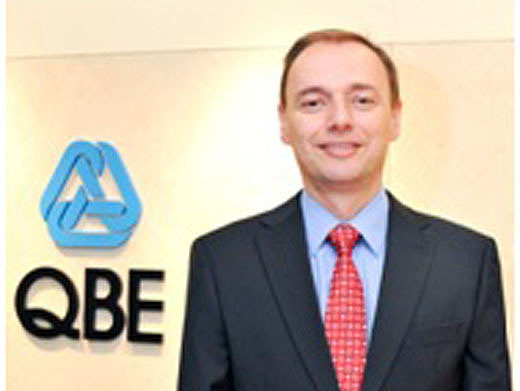 Karl Hamann, CEO of QBE’s Singapore operations, has seen his fair share of change during his more than two decades in the industry but he believes the change over the next several years will be dramatic. Born and raised in Sydney, like many Hamann fell into the insurance industry but there was some method behind his decision. Two of Hamann’s school friends had fathers who worked in the industry so when he left school, he saw insurance as a path filled with opportunity. “It was an industry that I felt if you put your head down, you can get ahead,” Hamann continued. Hamann moved to Moree in regional New South Wales and spent several years moving between roles in regional Australia which he said offered him an opportunity to learn the key to strong relationships in the industry. Hamann joined QBE in 1999 and enjoyed a meteoric rise towards becoming one of the youngest CEOs in the business when he moved to the Philippines in 2002. Prior to this, Hamann spent time with the international insurer in regional New South Wales, Sydney and Indonesia and has since worked throughout the Asia Pacific region. A stint in Manilla was followed by a move to Singapore as regional operations manager for Asia. Next was a move to Kuala Lumpur as CEO of QBE’s Malaysian operations, followed by a move back to Singapore where he now runs Singaporean operations for the business. As for the future of the industry, Hamann said that brokers will have to evolve their relationships with clients and many are already taking up the challenge. For a job to fall into, living and working in so many diverse countries is not a bad return, but Hamann stressed it is the people that he has met along the way that have been the real highlight. “It has been rewarding because I’ve seen a lot of people grow and also it has given me a lot of personal satisfaction,” Hamann said.